The most famous whale is one you’re not likely to see, or at least not know it if you do. That would be the person or people called Satoshi Nakamoto, who invented the modern cryptocurrency and mined the first bitcoin on 3 January 2009. Because we can determine what wallets to store the bitcoin he mined, we can estimate that Satoshi owns about one million bitcoin, though the full extent of his holding is not known. Any trading activity from these wallets would create a splash throughout the crypto community, since his true identity is the subject of conjecture. At the other end of the spectrum, the Winklevoss twins, Tyler and Cameron, live in the limelight, and through their well-respected Gemini cryptocurrency exchange, specialize in the trading of digital currency, both bitcoin and altcoin, for institutional investors. They are probably the most famous crypto investors, especially after the purchase of $11 million in bitcoin in 2013 following a successful lawsuit against Mark Zuckerberg and Facebook. It’s estimated that at one time, the Winklevoss twins owned 1% of all bitcoin mined. Not all whales are individuals. Pantera Capital, which was founded in 2013, is best known as the first bitcoin investment firm in America. Pantera Capital’s mandate to invest into blockchain and digital asset-related companies comes from its founder, Dan Morehead, who is also on the board of Bitstamp, a cryptocurrency exchange that CME uses for obtaining bitcoin and altcoin spot prices. 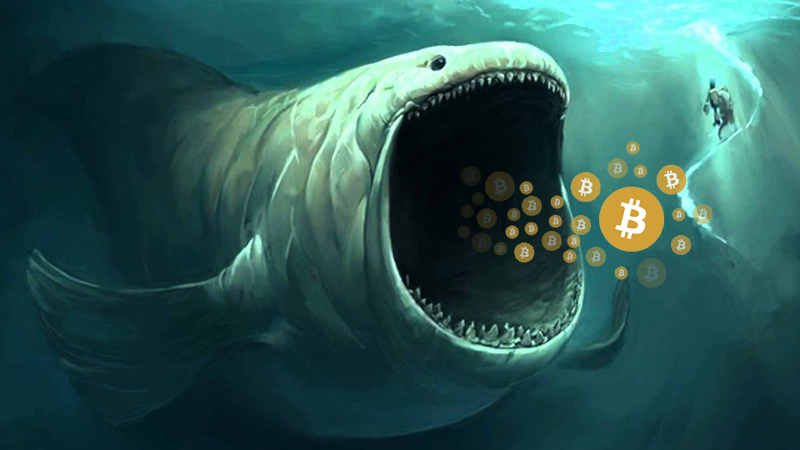 Whales will be mentioned particularly often when bitcoin prices drop sharply, especially before an explanation for the decline can be determined. True or not, whales are often accused of market manipulation as well. Because the market capitalization of the digital space is still relatively small, a large-scale move on a cryptocurrency exchange would move the market downward significantly. However, the relative illiquidity of the market is why institutional investors often purchase digital currency from whales via Over The Counter (OTC) trades. In this way, the parties can negotiate on price without affecting the market as a whole.